For any non-seasonal business, the calendar year end is a time to look backward at the year and evaluate your performance and to look forward toward the upcoming year to evaluate your challenges and goals. At MEDTranDirect, 2014 was a pretty good year as we responded well to industry changes and dramatically expanded our market share in the HIPAA transaction processing business technology sector. Looking forward to 2015, we have a somewhat unique perspective. The healthcare industry as a whole is bracing for the impact of ICD-10. The 10/1/15 deadline will influence the planning for most healthcare business partners including provider organizations, vendors, payers, and government agencies. This single issue impacts almost every organization that must deal with these codes and their influence on recording diagnoses, procedures and the processing of claims. This new coding system will require retraining staff and the redevelopment of systems that use these codes or translate their values into new business rules. 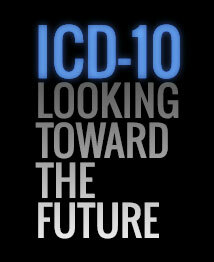 However, at MEDTranDirect, ICD-10 will have a minimal impact on our systems. Fortunately, the current electronic claim format used in the industry, ANSI 837 version 5010, already accommodates these codes. The only related issues that we must address is to incorporate the new business rules regarding when this transition occurs and to make sure the proper code type is provided in the claim files we process. As we look toward 2015, our challenges, and opportunities are mostly related to the expected increase in adoption of HIPAA transactions by payer organizations. The ACA has mandated the implementation of these transactions by all payer organizations. They have been phased in over the last few years. By the beginning of 2013, all payers were supposed to be able to process the claim status transactions (ANSI 276/277) and eligibility transactions (ANSI 270/271). By the beginning of 2014, they were all supposed to be able to create electronic remittances (ANSI 835s) and offer electronic funds transfer to any provider requesting this service. These rules were defined and established by CAQH CORE who was given this role as part of the ACA. As a member of this organization, MEDTranDirect has attended many of the workgroups and conference calls regarding this process. Hundreds of payers have participated in this process and achieved compliance with more to follow in 2015. Provider organizations and their vendors have already adopted these transactions for many years as they are required for interaction with CMS. Medicare supported the use of all of these transaction sets well before these deadlines and they are mandatory for providers to communicate with Medicare for these transactions types, and the 837 claims as well. However, the industry has not yet achieved the full benefit of the administrative cost reduction and increased productivity promised when these transactions were introduced in the late 1990s due to lack of overall participation by the payer community. Prior mandates for these transactions were limited to when electronic transactions were voluntarily executed between healthcare business partners. With the exception of CMS, either the provider or the payer could continue to process these transactions with the paper equivalent. Although a final date has not been established, CAQH CORE is establishing a deadline for health plans to become compliant with these standards and to be required to use them. To assure compliance, health plans will need to prove through certification that they are capable of processing these transactions with their business partners. This should even the playing field between providers and health plans requiring all health plans to execute these transactions with providers and allowing providers to expand the scope of systems designed to process these transactions. Health plans will need to certify their compliance by the deadline or face large fines. This is similar to meaningful use for providers. This should occur before the end of the year. Large scale adoption of these transactions will allow the industry to introduce new solutions that were not possible when payer compliance was limited. New networks will emerge with nationwide access to eligibility reporting for all health plans in a standard format. All submitted claims can be monitored from submission to denial or payment with new work flow systems developed to reduce AR days. Remittances will be auto posted for all insurance payments and all claim denials can be processed through a single process. Exception based systems can be developed that will allow routine transactions to be ignored and allow staff to focus on transactions stuck in the revenue pipeline. CAQH CORE is also working on the standardization of codes used by payers like the CARC and RARC codes in the electronic remittance so these workflow systems don’t have to have payer specific processing rules. We should hear during this month when the certification deadline will occur for health plans. I will provide more information on this topic through this blog when it is available. For providers, your focus might need to be on preparing for ICD-10, for MEDTranDirect, we will be working toward creating a processing framework and tools for implementing these transactions as they become generally more available.